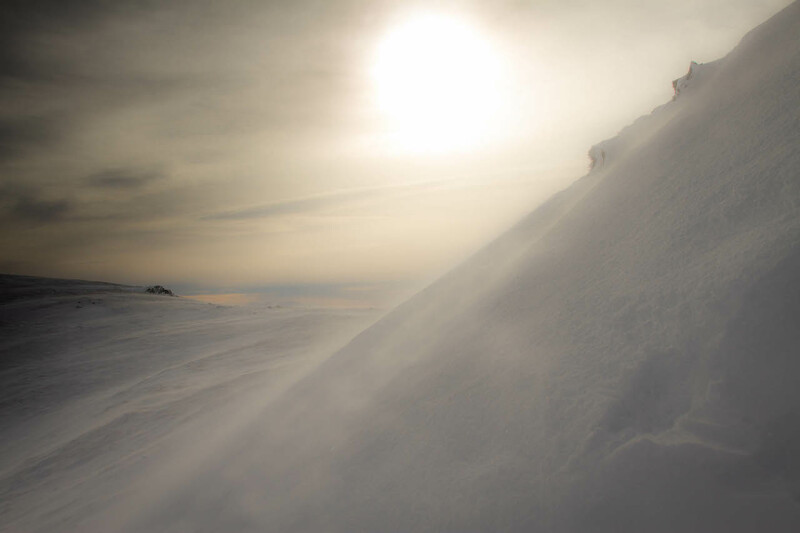 SAIS Southern Cairngorms Blog » Drifting snow. As forecast it was a nice start to the day, clouds rolling in early afternoon and showers later on. Winds were from the South and moving a bit of snow at higher elevations. An overnight thaw tonight but cold again tomorrow. 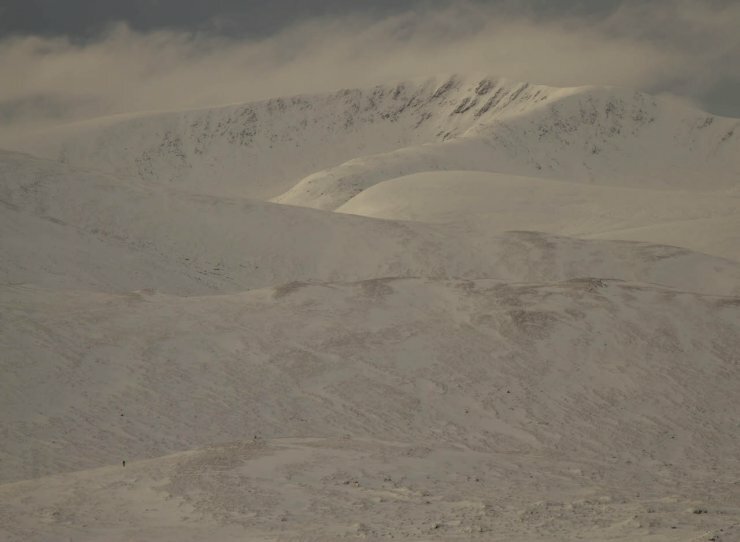 The Cairnwell looking good in the morning. Clouds on the way! 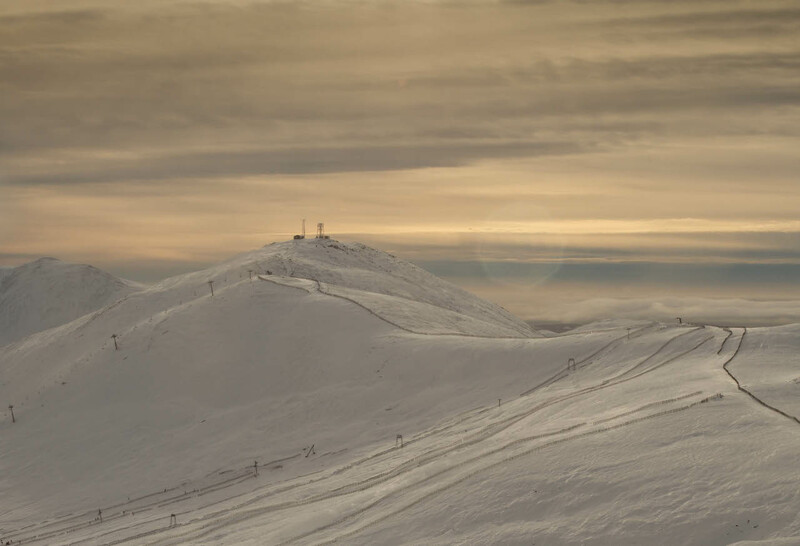 Glenshee has some areas open as the snow cover slowly continues to build. Some drifting above 800 metres on a Southerly wind. 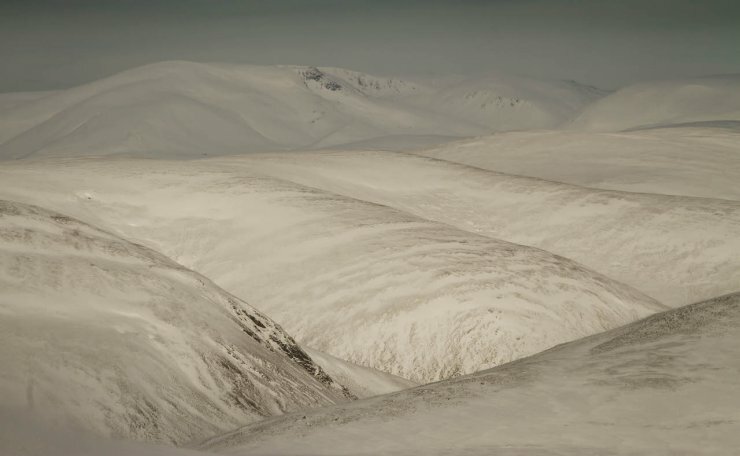 Stability was noted to be poor where new deposits were building over older hard snow-ice. 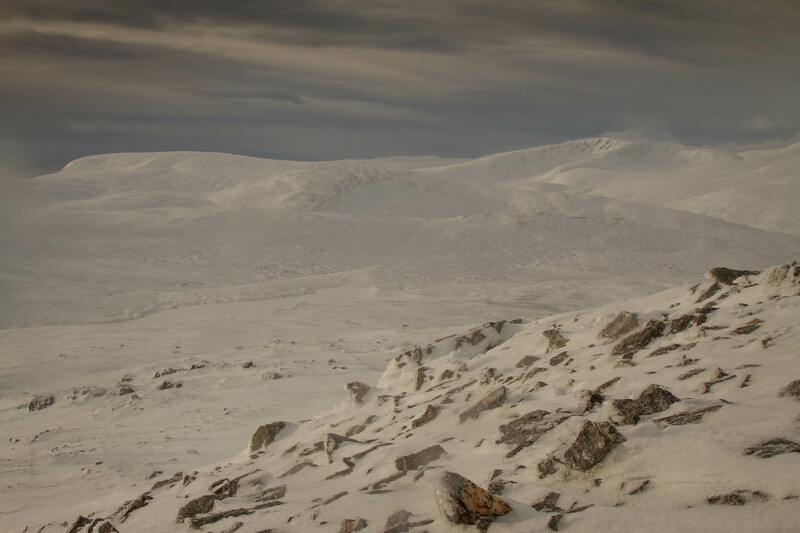 View across to Beinn a Bhuird. Cover is probably still best on the Southerly aspects but todays strong winds were redistributing some of this. Across to Carn nan Sac (left) and Glas Tulaichean. Ski possibilities on the plateau areas exist but the snow cover is thin in places. Exposed areas, like the foreground are often scoured. Glas Tulaichean, a solitary skier down left.